Scotland is the Home of Golf, with famous Links courses such as St Andrews Old Course and sweeping parkland courses such as Bruntsfield. Edinburgh has a variety of courses enjoyed by guests from all over the world. 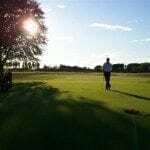 Barony Castle is pleased to provide a golf concierge service through an association with Ultimate Golf Service. Golfers will know they are well catered for at Barony Castle when they book through one of our golf packages. 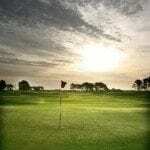 Enjoy staying and playing golf in the local area. Courses include Peebles, West Linton, Kingsknowe, Prestonfield, Duddingston, and Merchants of Edinburgh with many more available. Customise your Golfing Package with our own golf concierge. Please call 01506 88 35 30 or email baronygolf@ultimategolfservice.com now to discuss your needs or anything to get you started towards your golf break. Many golfers come to Scotland knowing it is the home of Links Golf. All venues of the British Open Championship are links courses. 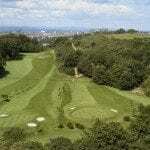 This package allows you to play golf courses within a 3 iron of Muirfield itself in East Lothian not far from Edinburgh. 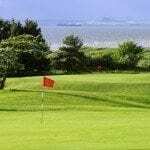 Courses include Kilspindie, Gullane, North Berwick Glen Links, and Longniddry Links with many more available.